Matching numbers. 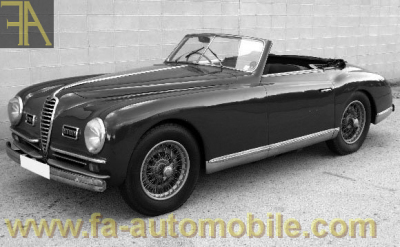 This second series 2500SS Cabriolet is fitted with a highly desirable original coachwork by Pinin Farina. Among one of the most preserved Alfa Romeo we have come across in recent years. Entered at the Mille Miglia historic event in recent years, European registered. Available immediately. Full dossier and pricing upon serious request.